This is a motor racing game. It has HD 3D images, is more fluent, exciting and easy to operate. Choose a role and motor you like to ride on race course in field. 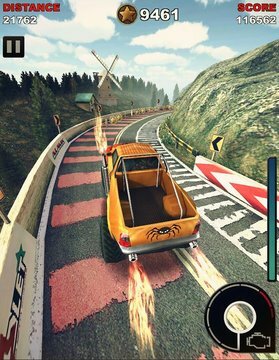 Smash the gas pedal as you like to pursuit for refreshment, speed, damage and Crash n’ Burn.With more vivid effects, it is the craziest destroying race game you have ever seen. But remember, bravos, the craziness is limited only in the game. ★Set out now, bravos, GO!!! ★The flexible and high-speed two-wheeled motors feature sensitive avoidance. ★The four-wheeled motors with design feature stronger impact force. ★There are five motor types with different properties for you to experience. ★The HD 3D images, along with their wholeness, delicateness and richness, will never tire you during riding; the optimization on high performance, the fluent operation and small capacity are what you never experienced before. 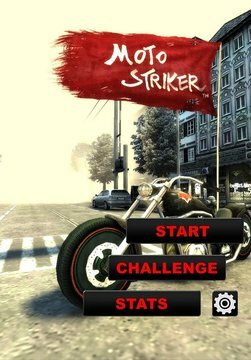 ★Ride the motor through accelerometer controlling. ★Speed up at any time; loosen hands when the engine gets hot and an alarm is heard, or the motor will get exploded and you will need to restart it. ★Crash vehicles on the roadside any time you like. 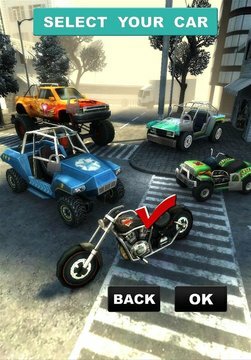 You will get not only the excitement of crashing, but also corresponding gold coins. ★The accumulation of gold coins to a certain degree can be used for reviving or exchanging for more advanced racing cars. 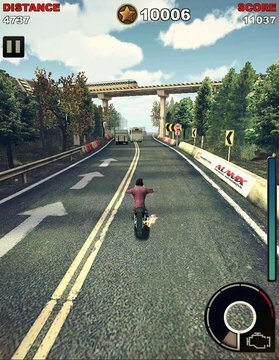 ★More game scenes and racing motors for selection will be added gradually in the following updates, and a multi-persons fighting mode will be coming soon. Updated: 29 октября 2018 г.
Уберите эту игру с сайта!